Finding the Nerve: The Story of Impedance Neurography discusses research that elucidates the nature of nerve simulation via externally applied electrical fields, and how it has led to an entirely new understanding of neuronal cell membrane biophysics and defined a novel nerve imaging technology. It details how these discoveries came about and the nature of research that derives from unexplained clinical observations. The primary technology, impedance neurography, is a wholly new way of nerve-specific visualization in 2-D or 3-D, with the ability to define both normal and abnormal functioning of nerves, heretofore unavailable from techniques such as MRI neurography. This is of particular importance with respect to the obesity epidemic where physicians performing nerve-related procedures cannot use ultrasound visualization due to the depth limitations of that technology. Philip Cory is a retired anesthesiologist/pain management specialist living in Bozeman, MT. After receiving his undergraduate degree in chemistry with a physics minor, he attended the University of Washington School of Medicine. Noting that anesthesiologists actually worked on a daily basis with his interests in clinical pharmacology and physiology, plus being the main patient advocate in the operating room, he completed an anesthesiology residency (specializing in regional anesthesia) and fellowship at Virginia Mason Hospital in Seattle, WA. While searching locations for private practice, Phil and Joan fell in love with Montana which has never changed. An interest in post-herpetic neuralgia prompted a move to Penn State University’s Milton S. Hershey Medical Center where Phil joined the anesthesiology faculty and became Director of the Department’s Chronic Pain Management Clinic. But the allure of the mountains remained compelling, and they moved back to Bozeman where Phil pursued observations from treating people suffering chronic pain conditions. 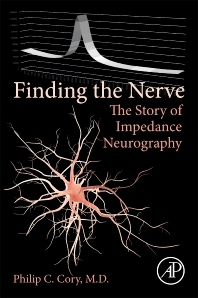 His urge to improve pain diagnosis and treatment led to the development of Impedance Neurography. This was the classic “basement” science endeavor, carved out of spare time, helped by corporate and State grants, a small group of investors, with additional basic science knowledge, invention ideas, and business acumen from Dr. Joan Cory. It wasn’t until Phil was literally knocked out of medical practice by his own medical issues, that he had time to finally pull twenty years’ worth of research together and determine the underlying electrophysiology of Impedance Neurography. The personal intersection of a background in basic science, clinical experience, and fortuitous observation led Phil to this new understanding of neuronal membrane biophysics while answering long standing questions regarding electrical nerve stimulation.